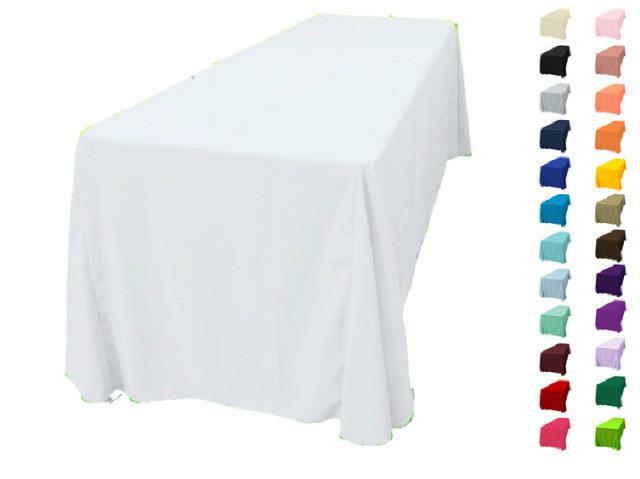 These cloths cover a 6 ft or a 8 ft banquet table droping to the floor on all sides. They are attractive and are less expensive than skirting tables. 6 ft Banquet Table 90" x 132"
8 ft Banquet Table 90" x 156"